This is just one of a series of photos taken by Marko Korošec of Mount Javornik, part of a mountain range in eastern Slovenia. 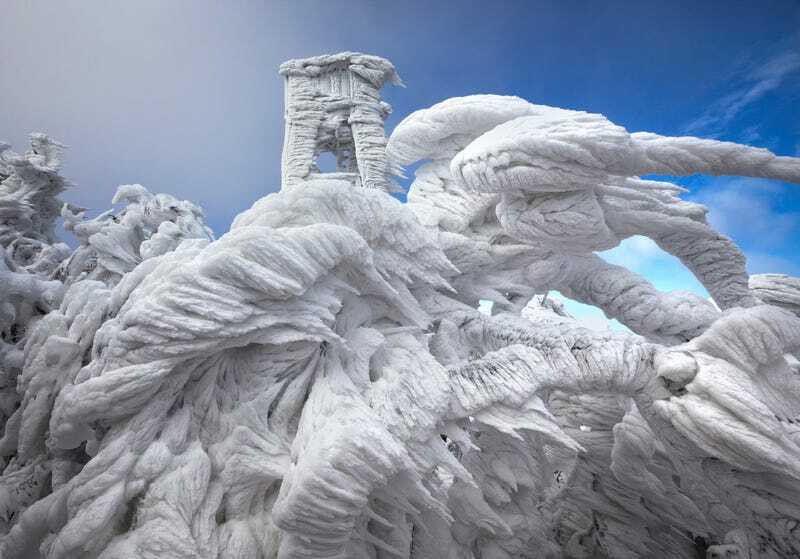 Ten days of snow, high winds, and freezing fog produced layers of rime ice over everything up the mountain, including 3-foot ice spikes. See the rest of Korošec's photos on his 500px page.